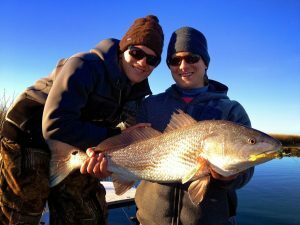 Custom Fishing Charters Shallow Water, Light Tackle, Fly Fishing! , serving Myrtle Beach, Pawleys Island, Georgetown, and McClellanville. Capt. Jordan Pate Fishing Guide Certified USCG Captain and Pawleys Island native. 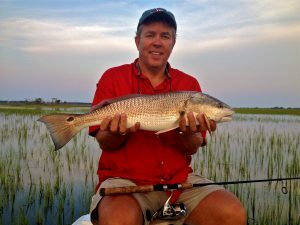 Fishing Charters – Pawleys Island, S.C.
Carolina Guide Service offers fishing charters for anglers of all skill levels Redfish, Trout, Sharks, Tarpon and we are dedicated to making your fishing adventure a memorable one. Capt. 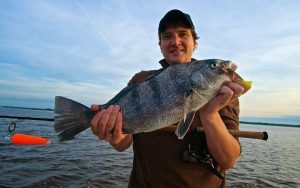 Jordan Pate will guide you thru the backwaters and saltwater estuaries in search of redfish, trout, flounder, tarpon, sharks, cobia and other inshore species. The saltwater estuaries south of Myrtle Beach are some of the most pristine on the East Coast which hosts an abundance of wildlife and natural beauty. Carolina Guide Service offers custom fishing trips for light tackle and fly-fishing charters aboard a 21ft Sportsman Bay Boat and a 16ft Action Craft Flats Boat. The Flats Boat is best suited for 1-2 anglers and drafts less than 7 inches of water which is great for sight fishing in shallow water and fly fishing. New to the fleet in 2015, the 21ft Sportsman Tournament is top of the line and can fish 4 anglers comfortably. This bay boat features all the latest electronics, trolling motor, power pole, and the 150hp Yamaha allows us to reach remote fishing grounds quickly and comfortably. Captain Jordan Pate is a certified U.S. Coast Guard Captain and avid outdoorsman who grew up in Pawleys Island, S.C. He is dedicated to sharing his experiences with others and showcasing the best of what the Lowcountry has to offer.